Hi, my name is Avis and I live in the North of England. I love to design and create quilted patchwork items. I also enjoy cross-stitch, needlepoint, tapestry, canvas work, knitting and crochet. I like to bake and cook but I don’t enjoy shopping for ingredients or washing up. I will post photos of my progress and hope you like what you see. Thank you. I hope you have fun too! Hullo Avis! I’ve awarded you with a Kreative blogger award, I really enjoy your blog 🙂 hope you like! Oooh! Thanks Amy 🙂 Seven interesting things about me hmmmm…… It is a shame you already have the award. You would have been one of my choices 🙂 I’ll have a think about this and thank you formally soon! Thank you so much! The only thing is…..I already have the award on my blog. There is a button on the right hand side of my page at the bottom. It was a really kind thought and I would have accepted if I hadn’t already taken part in the fun. Congratulations on your award by the way 😀 You deserve it!! I loved to sew for my dolls when I was small but somehow it got left on the wayside as I grew up…I hope to pick it up again though! You have a beautiful blog. Hi Avis. I nominated you for the Liebster Blog Award. I hope you can accept it and pass it on to your favourites. I also hope you can take it as an appreciation from my part. Oh, I am not surprised 🙂 Well, then consider it done 🙂 Thank you for the kind words. Yes, at the end of last week I got out of bed and there was no pain at all. Apparently it was all caused by the sciatic nerve being trapped. It all started with what I would call spasms in my back which gradually moved into my hip and part way down my right leg. I was told it would just be a matter of time and to keep taking painkillers (which didn’t work). So your prayers worked! Thank you so much 🙂 As you will notice I haven’t been sewing on the blog, just posting crochet and knitting which I could do sitting still. Sewing a quilt is a much more physical thing. Since the weekend, however, I’ve made a small disappearing nine patch with a charm pack and I quilted it this morning. I hope to bind it this afternoon and then go to work this evening. It’s all systems go here! I’ll post about it in the next couple of days. That’s cool. Most likely this is the way I will do it in the future! 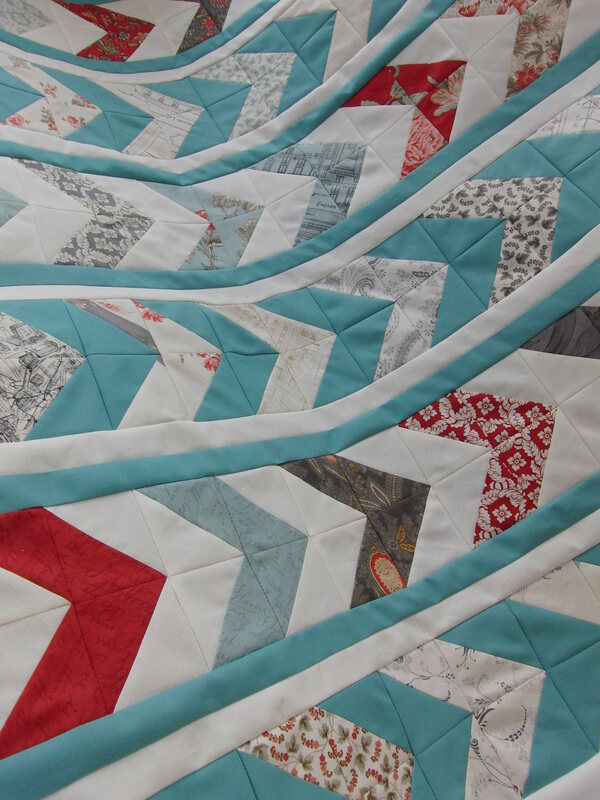 If you mean the jelly roll strip quilt, the brown one, you can find it in my 2012 finishes page at the top of the screen. If you click on the photo, it will take you to the post when I finished it with more close up pics. Good luck with your quilt! Thank you! 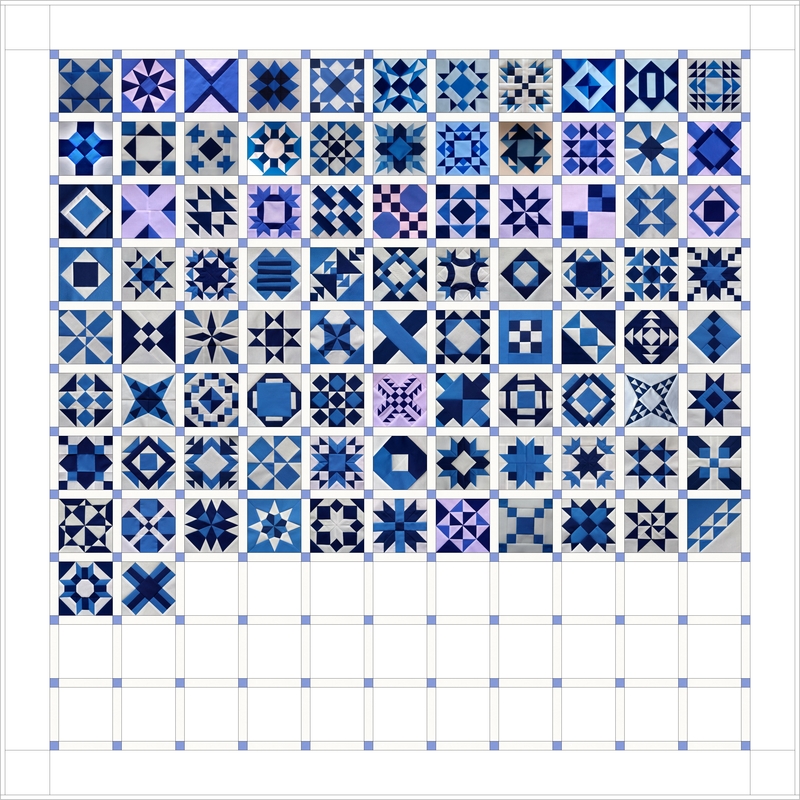 I’ve posted about the quilt I’m planning, and provided a link to the tutorial blog with full credit to you as the designer. It’s beautiful, and I think the recipient is going to be very pleased. Thanks for stopping by my blog and leaving a ‘like’. Happy quilting!